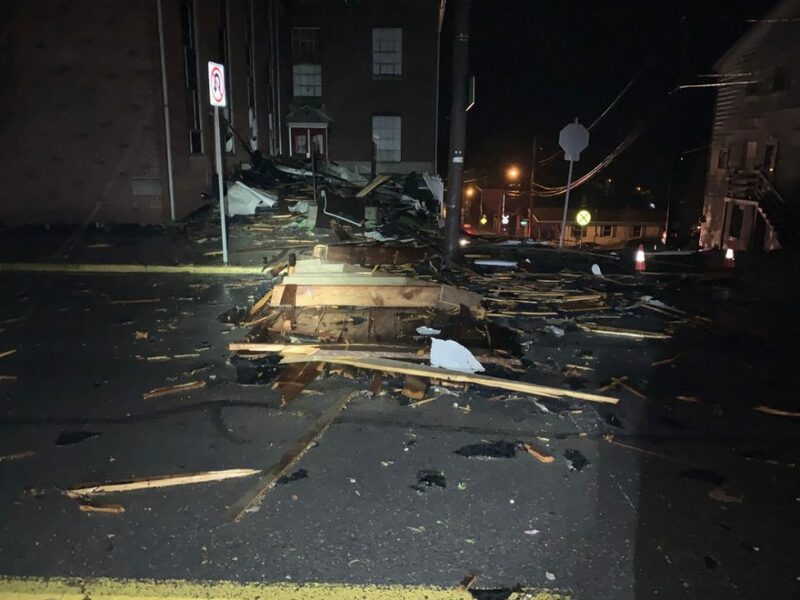 On April 15, 2019 a strong storm passed thru the area around 12:40AM and left significant damage in its wake. 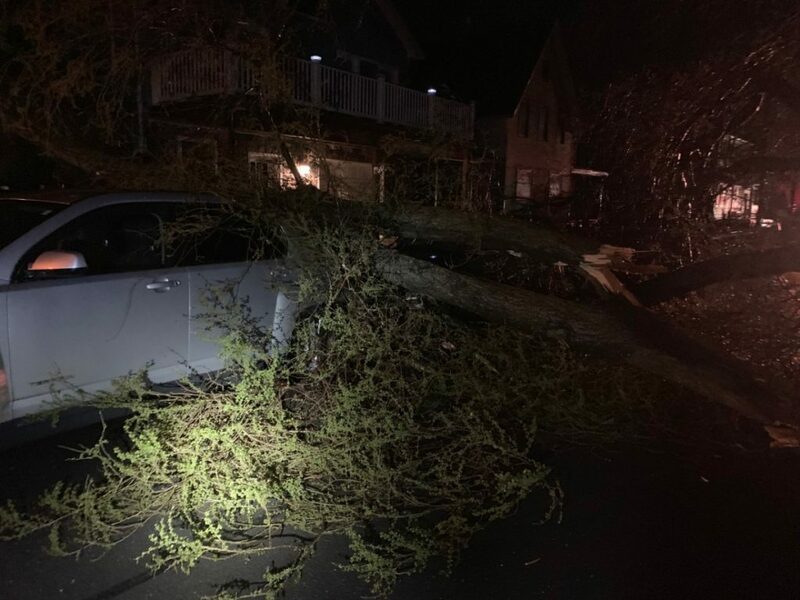 The fire company responded to 8 calls for assistance immediately following the storm. Initial calls came in for reports of trees down on front street and wires down on North Street. 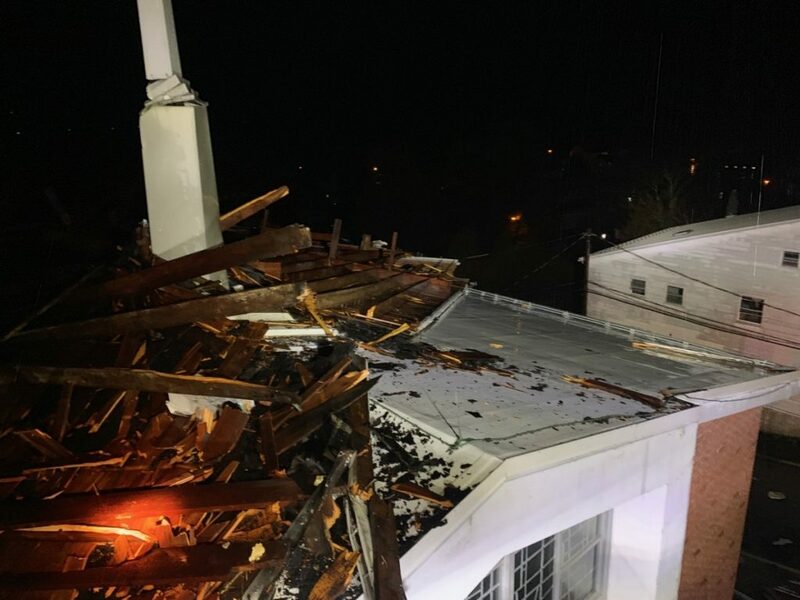 As units were responding additional calls came in concerning structural damage to buildings which included the roofs being blown off of a church, commercial structure and apartment building. Crews assisted with placing tarps to protect merchandise, debris removal, traffic control and setting up caution tape around hazard areas. Truck 20 was used to do elevated damage assessments of the three structures that lost their roofs. 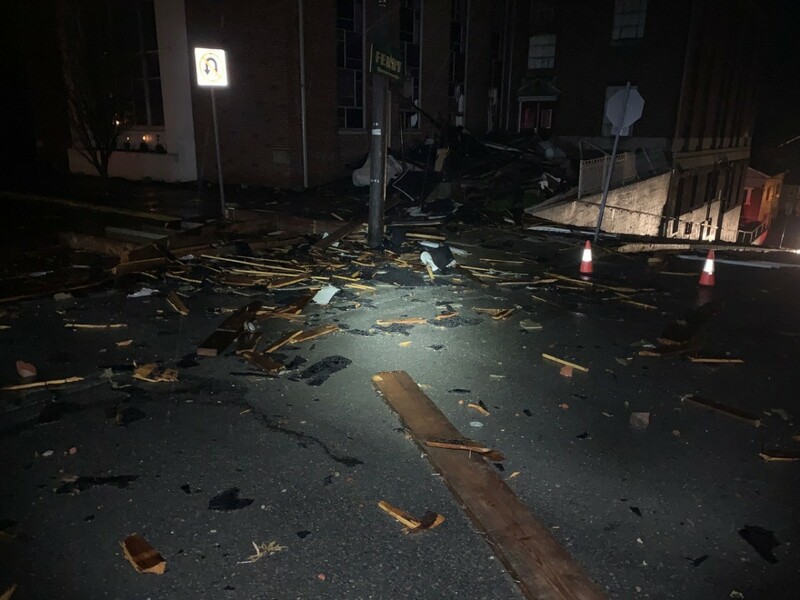 The fire company was assisted by Millersburg Borough and Upper Paxton Township employee’s with debris removal and road closures. 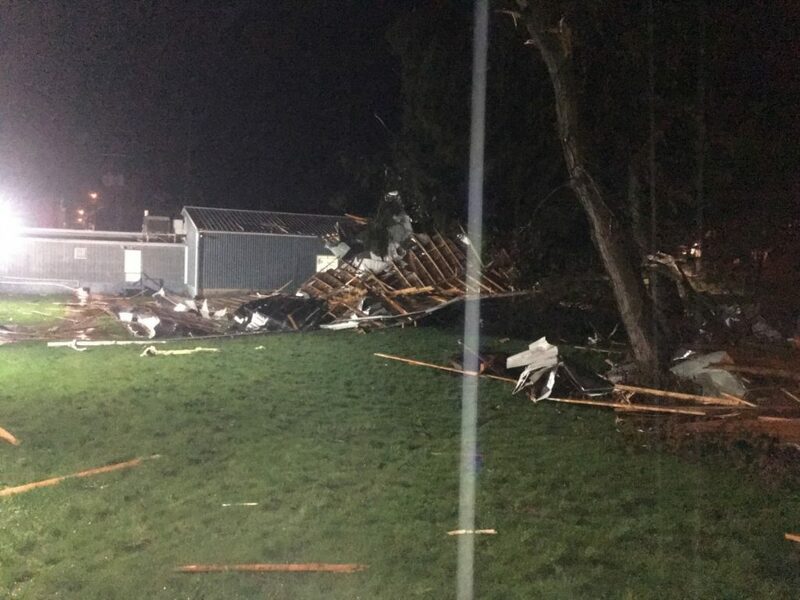 The National Weather Service will be making an assessment of the damage to determine whether it was high winds or a tornado that caused the damage.